The STI-3601 is an additional wireless motion sensor that alerts when someone enters the detection zone. The signal passes through doors, walls and floors and has a 140° x 40 ft. detection zone. 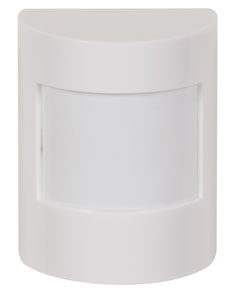 The STI-3601 is an additional wireless motion sensor that alerts when someone enters the detection zone. The signal passes through doors, walls and floors and has a 140° x 40 ft. detection zone. Includes a CR123 Lithium battery, and has 32 frequency codes to help reduce interference. Unit is FCC certified. There are thirteen sounds that can be selected with the push of a button on each transmitter. To purchase the motion sensor with the required receiver, see the STI-3610 Motion-Activated Wireless Chime.